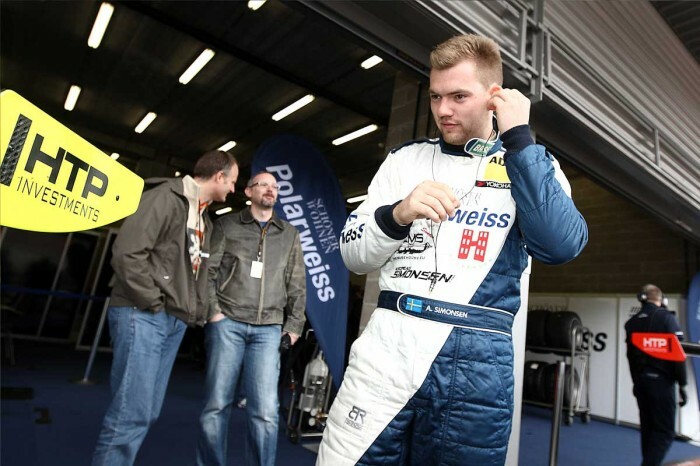 The second round of the ADAC GT Masters took place at Red Bull Ring, Austria last weekend, only two weeks before the circuit hosts the Formula 1 Austrian Grand Prix. 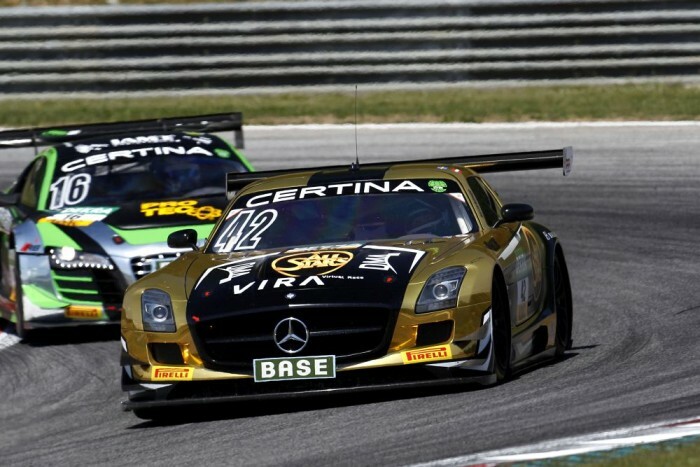 The HP Racing team fielded a Mercedes-Benz SLS AMG GT3, with drivers Hari Proczyk (AUT) and Andreas Simonsen (SWE) taking turns at the wheel in perfect summer weather. Both qualifyings were unsatisfying for the team. Proczyk placed the gull-winged car in P17; Simonsen grabbed P15 in his turn. Starting into the first race on Saturday, Prozcyk battled his way forward to P12 in the first two laps. However, when the safety car was deployed following an accident, the furious pursuit was stopped and the entire grid caught up. Stuck in traffic after the restart, the Austrian continued to push in an attempt to gain more places. A sudden failure of the brake in lap 13 brought a sudden finish to Proczyk’s fight, he had moved up to P11 by then. The disappointed driver was forced to park the Mercedes-Benz off the track. Andreas Simonsen had a very good start into the second race on Sunday, where he gained eight places. He managed to navigate his SLS through an accident right after the start without suffering damages. The safety car was deployed for one lap. Simonsen held off his competitors in the top field and handed the GT3 car over to Hari Proczyk. The pit stop and the change-over to Hari Proczyk went smoothly. The Austrian at the wheel of the SLS rejoined the race. 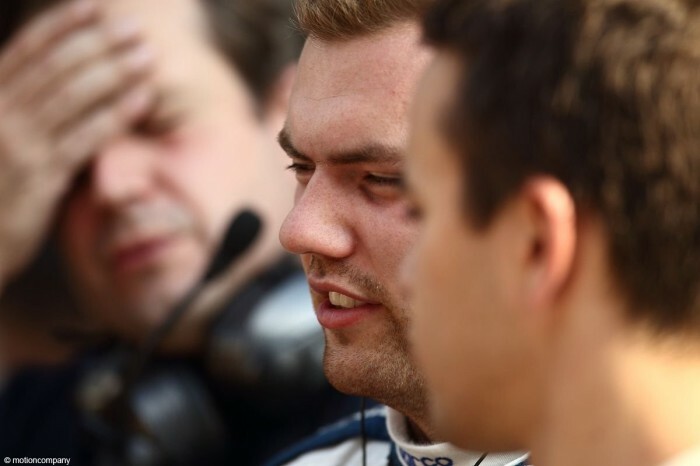 Another technical failure forced a disappointed Proczyk to pit and park the car before the end of the race. Andreas Simonsen: “We couldn’t achieve better results in the qualifyings due to a technical failure. We did well on Saturday. It’s a pity that the brake disc broke during Hari’s stint, which was the end of the first race for us. Hari Proczyk (Team Principal): “This was a weekend I would like to forget. We clocked the second fastest lap in the second free practice session. However, a failure slowed us down in the qualifyings and we were unable to claim good places. Andreas and I gained a lot of places at each start, which did not help us in the end because we had to retire early in both races. 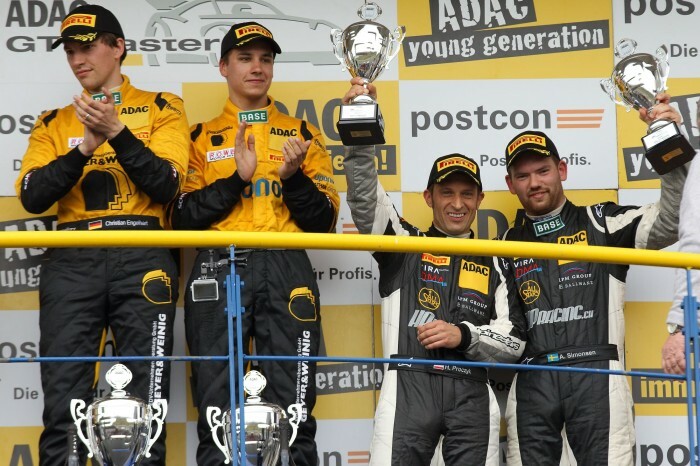 Andreas Simonsen and Hari Proczyk are currently in P8 in the overall ranking of the ADAC GT Masters, having gained 30 points each.